Eileen Klemm, Ph.D. Candidate, is the Transition Area program manager at the Institute on Community Integration. Currently, she manages the overall development and provision of training and technical assistance for Check & Connect implementation across the country and internationally. Ms. Klemm is the co-principal investigator on three sponsored projects which incorporate Check & Connect: two statewide projects in Minnesota and Florida and the new Systemic Support for Promoting Graduation project that will utilize the C&C App and an online version of the SEI across multiple states. Prior to her work ICI, Ms. Klemm provided statewide training on the implementation of federal regulations and Minnesota rules and statutes regarding special education services for children birth through age 21 for the Minnesota Department of Education. She also worked as a peer leader with both special education and general education staff ranging from early childhood providers to high school teachers and parent educators. In this capacity, she provided job-embedded professional development, including cognitive coaching for reflective practice, preceding and following staff observations. 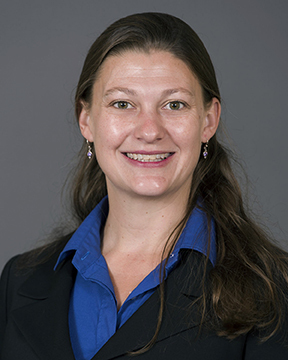 Ms. Klemm is presently pursuing a Ph.D. in organizational leadership, policy, and development with an emphasis in evaluation studies at the University of Minnesota. 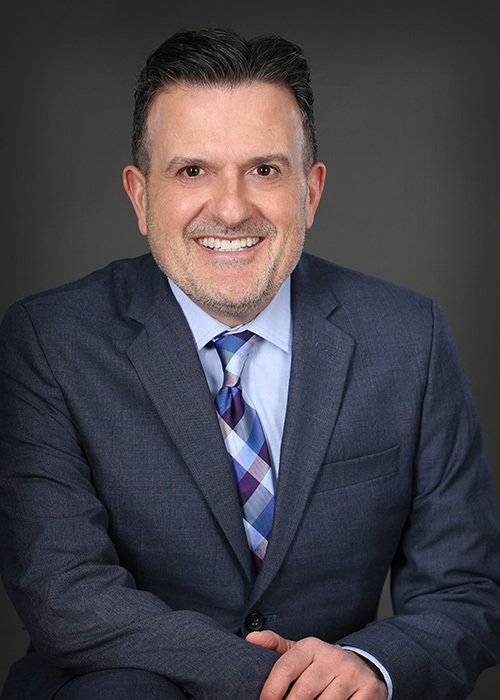 Joseph Angaran, M.A., is a program specialist and national trainer for Check & Connect at the Institute on Community Integration (ICI), University of Minnesota. Mr. Angaran provides training nationally on the implementation of Check & Connect for schools and community-based organizations. He also provides follow-up training in the form of fidelity of implementation workshops for sites already implementing Check & Connect. As a national trainer, he assesses the needs of sites and customizes training to meet those needs. Prior to his work at ICI, Mr. Angaran began his teaching career in the Rosemount-Apple Valley-Eagan (MN) public schools as an elementary teacher. Most recently, he worked as a Peer Leader with both special education and general education staff ranging from early childhood to high school. Trained in Cognitive Coaching℠, Mr. Angaran conducted observations and conversations with educators about their practices and worked to build the capacity of all to be self-directed and reflective. Mr. Angaran's undergraduate degree is from the University of Northern Iowa in Elementary Education. His graduate degree is from the University of St. Thomas in Educational Leadership and Administration. In addition, he currently holds an administrative license in Minnesota. Michelle Austin, M.A., Ed.S., is a program specialist and national trainer for Check & Connect at the Institute on Community Integration (ICI), University of Minnesota. Mrs. Austin provides training around the country on the implementation of Check & Connect for schools and community-based organizations. She also provides follow-up trainings in the form of fidelity of implementation workshops for sites already implementing Check & Connect. As a national trainer, she partners with sites to assess their needs and customizes training to meet their strategic plans. 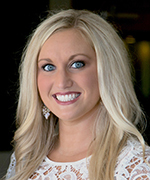 Prior to working at the University, Mrs. Austin began her teaching career as an elementary teacher, specializing in technology in two Minnesota public school districts: Eastern Carver County Schools and Inver Grove Heights Schools. Most recently, she worked as a district coordinator and administrator for the Department of Learning in ISD 199 - Inver Grove Heights Schools (MN). In this capacity, she pioneered ISD 199’s first parent engagement program adopted from the Parent Institute for Quality Education (PIQE), provided district-wide professional development for early childhood to high school staff and coordinated the district’s Gifted Magnet Program. Additionally, Mrs. Austin is trained in Cognitive Coaching℠ and has conducted observations and facilitated reflective conversations with educators focused on increasing engagement and achieving at high levels for all students. Mrs. Austin holds a Bachelor of Science degree in Elementary Education K-6 from Augsburg University, Master’s degree in Teaching and Learning from Saint Mary’s University and Specialist Degree in Educational Leadership & K-12 Administrative License from Minnesota State University - Mankato. Jana Hallas Ferguson, M.Ed., is a project coordinator for the Institute on Community Integration, Universityof Minnesota where she provides training and technical assistance to districts on Check & Connect around the country. Prior to working at the University, Mrs. Ferguson taught special education for ten years in Cy-Fair ISD in Houston, Texas. She trained district personnel on creating meaningful, Standards-Based goals and objectives to ensure student success throughout high school and into post-secondary life. Additionally, she created and conducted annual school-wide training on collecting data on student progress on academic and behavioral IEPs, facilitated data collection for each grading term, and provided technical assistance and support for individual teachers when needed. Mrs. Ferguson assisted personnel in implementing IEP programming in the general and special education classrooms as well as served as a facilitator in parent/teacher communication to ensure the needs of students were met for all students with disabilities throughout the campus. Mrs. Ferguson has a Master's Degree in Education with an emphasis in Low Incidence Disabilities from Texas A&M University. Her undergraduate degree was completed at Coe College, where she double-majored in secondary education and history. 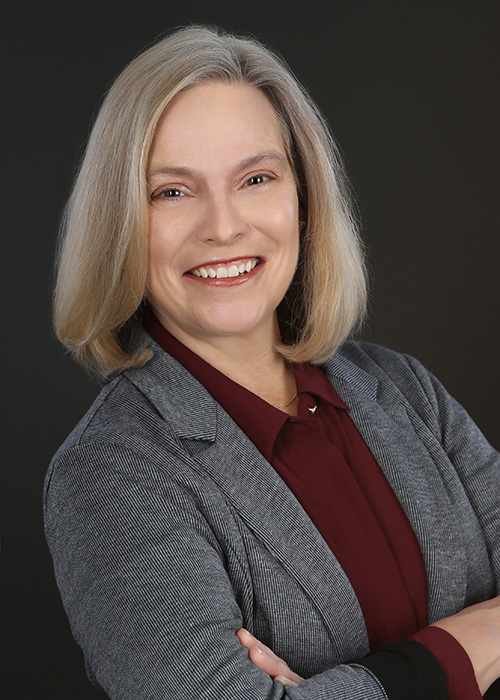 Ann Romine is a program specialist and national trainer for Check & Connect at the Institute on Community Integration (ICI), University of Minnesota. 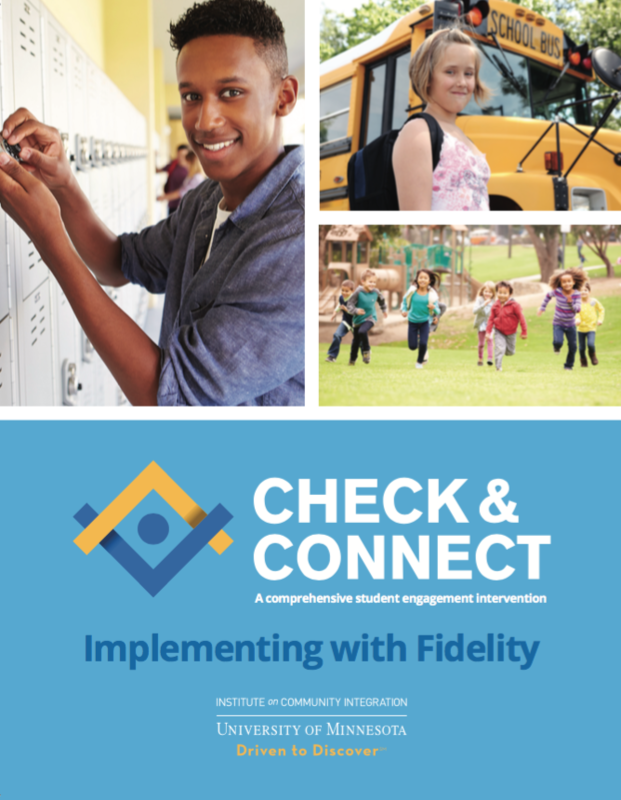 Ms. Romine provides training nationally on the implementation of Check & Connect for schools and community-based organizations. She also provides mentor training and follow-up training around fidelity and implementation for sites already implementing Check & Connect. As a national trainer, she assesses the needs of sites and customizes training to meet those needs. She is driven to build connections for students and families across schools and communities. Before working at ICI, Ms. Romine served as a program specialist and national trainer for an evidence-based family engagement program, Families and Schools Together (FAST). She has trained collaborative teams of teachers, parents and community-based professionals for more than a decade. Ms. Romine has worked extensively throughout the School District of Philadelphia implementing and developing FAST to scale. She attended the University of Wisconsin - Madison and received her Bachelor of Science in Human Development & Family Studies and Elementary Education.